This is a genus of about 30 species that feed on Fabaceae, are related to many tree-feeding aphids, and are in the subfamily Calaphidinae. None of them are native to North America, I have collected three of them here, and one of them was first discovered in the U.S.A. by me in 2013 (T. tenera in southeastern Idaho). This is the species name used for the common alfalfa (i.e. lucerne, Medicago) feeding species in North America, which has sometimes been known as Therioaphis maculata (Buckton) and the “spotted alfalfa aphid.” I find it on both cultivated and volunteer alfalfa almost everywhere I go. 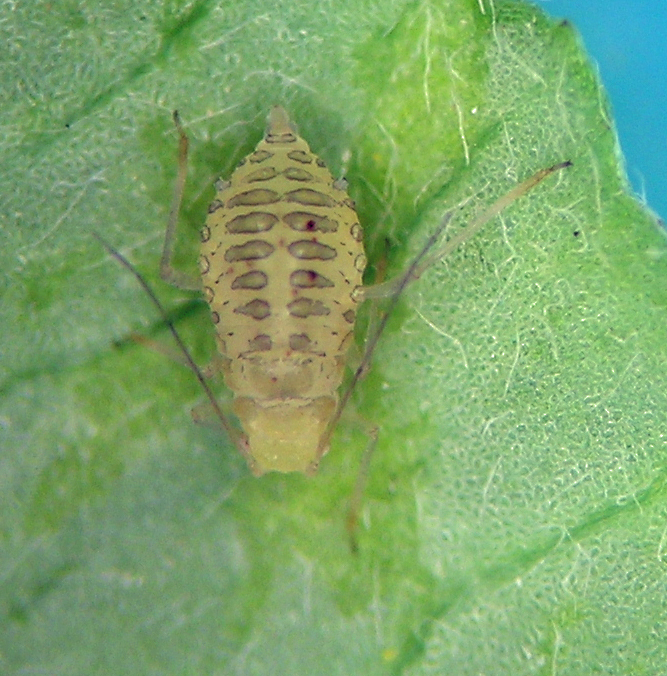 Therioaphis trifolii from northern Idaho in April.